NOTE: This post is HUGE. You’ll want to save it as a reference, so we made it easy – download it as a 30-page ebook by clicking here! Everyone makes bad decisions now and then. We feel stupid, and go on living our lives and making bad decisions. But that’s not the worst part. The worst part about these mistakes? We can’t help it. They’re called cognitive biases, and they control our life in shocking and sometimes disturbing ways. Here’s the part that you really need to pay attention to. These cognitive biases impact conversion optimization, too. When you grasp just a few of these psychological nuggets, the advantage you possess is almost unfair. But, don’t be annoying about it. And, above all, be ethical in the way you use these and any other persuasion techniques. Manipulating your visitor into making a decision that is wrong for them is no way to build a business. Doing that is the same as making false claims or otherwise misrepresenting a product. You may get a conversion, but it will be your last from that customer. By understanding these biases and their effect upon both individuals and groups, you are able to strengthen arguments, anticipate reactions, and make connections in powerful ways. It could completely overhaul the way you do life in general and conversion optimization in particular. Conversion optimization is no less than the discovery of why people click — their motivations, curiosities, intentions, questions, excitement, memory, surprise, wonder, pleasure, and the whole universe of psychology. The potential customers who visit your website, click on your landing page, or see your marketing email can be affected by any one (or more) of the cognitive biases in this list. If you understand these cognitive biases, you will be a powerful position to influence your visitors’ choices. To help you gain such powerful psychological insights, I’ve developed a master list of such cognitive biases. These biases give you both the scientific research and the actionable information that you can use to start boosting conversions starting today. I’ve organized the biases in a list below. Each bias has three sections. The first line (numbers) tells you the name of the bias. It’s probably not going to make much sense until you read the explanation. The first bullet, “defined,”, tells you what the bias is and how it affects people’s thinking. I am indebted to Wikipedia both for the origin of this list and the wording of the explanations. Some definitions are theirs. All explanations are mine. In the second bullet, explained, I provide a brief explanation of how this bias influences marketing and/or conversion optimization. Reading the list. You would do well to at least skim this list. You probably aren’t going to remember the name and definition of every cognitive bias. What you will possess after reading this article is an intuitive recognition that cognitive biases exist in yourself and others. Furthermore, you will begin to understand how these cognitive biases affect online marketing and conversion optimization. Finally, you may wish to bookmark this page. You’ll find yourself thinking, “Ooh, I’m detecting a cognitive bias! What was it again?” Pop onto this page, and you’ll find your definition, explanation, and links for further study. Explained: If a user doesn’t understand your product or a particular choice, he will not choose it. People tend to avoid the unknown. Explained: The first price that a customer sees is the one that will affect her purchase decision in the future. For example, if the first price she saw for a handbag was $90, and she sees it reduced to $45, she will be more likely to buy. Defined: The tendency of our perception to be affected by our recurring thoughts. Defined: The tendency to overestimate the likelihood of events with greater “availability” in memory, which can be influenced by how recent the memories are or how unusual or emotionally charged they may be. A website or landing page that is unusual, emotional is more memorable, which makes it more likely for users to return and purchase. When your website, brand, or product is referenced repeatedly by others, people are more likely to think highly of it. The more social buzz you generate, the better. You can’t change people’s beliefs, so don’t even try. Evidence and argumentation in opposite to an entrenched belief will not strengthen your position. Instead you have to win people through emotional means. Everyone is doing it. If you can create the perception that everyone is buying your product, then it’s more likely that more people will. An effect where someone’s evaluation of the logical strength of an argument is biased by the believability of the conclusion. When persuading users to buy your product, show them how it will help them. The personal positive result of the product is going to trump your argument as to why it’s so good. People are blind to their own stupidity. Deal with it. Never show people just one testimonial. Display groups of testimonials. The tendency to remember one’s choices as better than they actually were. If your customer makes a choice, praise them. They will forever think that they made the right choice. Pepper your conversion funnel with affirming messages, and email them to congratulate them on their purchase. If you want to persuade your users, focus on the patterns that put your product or service in the best light. And check out this website for an awesome waste of time. You will have a hard time changing your user’s preconceptions. Instead, cater to them on an emotional level, and do all you can to validate their existing preconceptions. Use testimonials. Specific conditions and examples always trump general explanations and data. Your evidence alone is not persuasive. While charts, numbers, metrics, data, and statistics are helpful, you must strengthen your persuasive power with emotional argumentation and alternative forms of persuasion. We told you this post is HUGE. Before you forget, grab the 30-page ebook by clicking here! The enhancement or reduction of a certain perception’s stimuli when compared with a recently observed, contrasting object. Make your product stand out as much as possible. Using surprise, differentiation, and shock value, you can make your product more memorable, and therefore more likely for people to purchase. Preferences for either option A or B changes in favor of option B when option C is presented, which is similar to option B but in no way better. If you have different variations on the same product (e.g., small vs. large, or 8GB vs. 16GB) then insert a third option in the middle that makes the option that you don’t want people to buy seem foolish. This compels customers to choose the more expensive option. See my article on the subject for all the juicy details. Side-by-side product comparisons are perfect. If you are working against a competitor’s similar product, create a comparison chart to help users understand the pros/cons. Emotional argumentation is powerful but people tend to deny its strength. The better and more skillful your emotional argumentation, the more persuasive you will become. People will tend to focus on one thing about your product or service, rather than lots of things. Instead of just spraying the customer with a list of benefits and features, focus on one thing — most importantly something that will substantially improve the customer’s quality of life. The observation that individuals will give high accuracy ratings to descriptions of their personality that supposedly are tailored specifically for them, but are in fact vague and general enough to apply to a wide range of people. Oh, and those “which character are you” quizzes are genius. Use personalization as much as possible in your marketing efforts. Drawing different conclusions from the same information, depending on how or by whom that information is presented. The way that you present your information is critical to the user’s acceptance of it. In MarketingLand, I explained how this bias can be used to improve your rewards program. If your product challenges traditional use of a product or service, you’ll have a much tougher time marketing it. 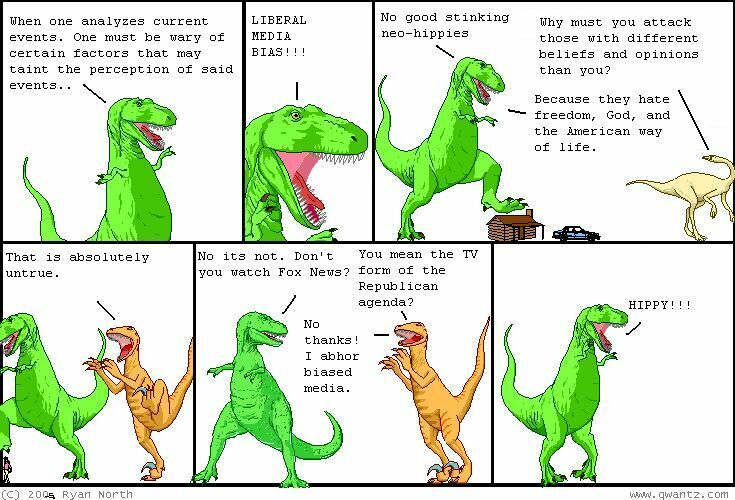 The tendency to see a media report as being biased, owing to one’s own strong partisan views. Know your audience, and don’t try to their views. If you do, they will strongly object and view you with skepticism and distrust. The “hot-hand fallacy” (also known as the “hot hand phenomenon” or “hot hand”) is the fallacious belief that a person who has experienced success has a greater chance of further success in additional attempts. In personal branding, you can improve the public’s perception of yourself by emphasizing a list of successes. In customer-directed persuasion, you can remind a user that they’ve been right so many times before, and the choice that they’re about to make is indeed the right one. Discounting is the tendency for people to have a stronger preference for more immediate payoffs relative to later payoffs. Hyperbolic discounting leads to choices that are inconsistent over time – people make choices today that their future selves would prefer not to have made, despite using the same reasoning. Recognize that your users want results and/or discounts This allows you to raise your price and give users the product right away, as long as you allow them to pay later. Check out my Kissmetrics discussion for more application of this powerful bias. Case studies. They’re powerful. Instead of telling your customers that 85% of American homes are at risk of termite infestation, instead tell them the story of poor Johnny whose home was completely devastated by evil termites. If you make a customer work towards something, they will be more likely to follow through with a purchase or conversion. In other words, lots of small conversions lead up to a big conversion. If you want to experience this firsthand, try signing up for eHarmony. No, really. The tendency to overestimate one’s degree of influence over other external events. People love to believe that they are in control. If you can give the user some degree of choice or influence over the conversion process, he or she will be more likely to have a self-inflated view, and therefore be empowered to complete the conversion. Emphasize positive feelings, and predict that your customers will experience positive feelings for a long time if they purchase your product or service. They will most likely think that buying a new house, SaaS, or product, will positively improve their personal satisfaction and wellbeing way longer than it actually will. People love to feel like they have information to back up their decision-making, even if it’s extraneous. The more information that you can pile on to a product description, the greater assurance a user will possess that they product is a high-quality and good value product. Alright, conversion optimizer, I’m looking at you on this one. You’re not immune to these cognitive biases. This bias is a big bias in split testing.Be careful of drawing actionable information from split tests that are drawn from small sample sizes. If you want users to keep spending money or time on your product, show them how much they’ve spent already. “The disutility of giving up an object is greater than the utility associated with acquiring it”. People are loathe to give up what they already possess. If you can get people to buy in, even a little bit, to your product or service, then you’re way ahead of the game. When you threaten to take away their free trial, their position on your mailing list, or their access to resources that you gave them, they intensify their desire, and therefore their commitment to your product or service. Simply listing the price of your product is enough. Don’t try to embellish it. Emotionally negative content is more likely to go viral, and it will have higher levels of sharing. Physiological arousal drives virality and the negative emotions have higher levels of such arousal. Pay special attention to the decision-making phase of the conversion funnel. If a user is uncertain about what step is next or where she is in the checkout process, she is more likely to mistrust her decision about the purchase. Make things extremely clear all throughout the process. If you’re a startup, or a brand that doesn’t have much marketing exposure, link yourself to trusted brands. One of the most commons ways of doing this is by featuring images of well-known logos or trusted brands. Yours truly does this. Other brands and businesses do it, too. Your customers will see and do what they want to see and do. Make sure that you understand their proclivities and seek to reinforce them, rather than contradict them in the sales funnel. Don’t try to change their beliefs or behavior, or you’ll derail the conversion. A customer who is at an optimal spot in the conversion funnel is experiencing the optimism bias. Do all you can to preserve this attitude. Things that can ruin his optimism are a broken checkout system, extra charges, and a faulty UX. It’s not just depression-prone people who anticipate negative experiences. This is the experience for many people. It’s easier and more physiologically stimulating to expect bad things to happen. You can use this tendency to both understand a user’s pain, and then solve the pain by introducing your product or service. For example, if a user fears that they will be the victim of a home invasion, you should know about this pain. Then, you should solve this pain by allowing your product (home security systems) tƒo meet their emotional need. The second that a customer finalizes a transaction, they begin to experience buyer’s remorse. This is natural, and you need to be prepared to deal with it. Encourage them to share their purchase on social media, thereby reinforcing their rationalization. Then, send them confirmation emails to encourage them that they made the right decision. If you’re selling through positive emotion, avoid the slightest odor of risk. If, on the other hand, you’re selling through negative emotion (anger, fear, pain), then you can heighten the risk factor. In some cases, this means that you can justify a higher price if you are selling a product or service by means of negative emotional persuasion. Humans value their ability to choose freely. Choice, after all, is equated with freedom. Because this is true, you should never try to argue against a user’s preselected choice. When marketing to varied demographics, try to segment your groups according to their spot in the conversion funnel. Pre-funnel targets should be handled in a way that is far different from those who are already disposed to purchase your product. The tendency to overestimate one’s ability to show restraint in the face of temptation. Believe it or not, this is true. And you thought that those advertising jingles were just annoying or juvenile? They were As early as, well, ancient history, people made their pet positions go viral by using songs. True story. Simple takeaway: Use a tagline for your brand. Better yet, use a rhyming tagline. Make your website seem like a safe place. If you do so, users are more likely to convert. How do you make your website seem safe? Here are the easiest ways: 1) Use https, 2) add trust badges, 3) use testimonials. Your customer’s expectations affect everything about your marketing plan. Make sure you understand query intent, and practice segmentation as often as possible. Don’t upset the apple cart. If you’re dealing with a group of customers who like things “just so,” don’t try to alter their worldview or introduce information that could make them uncomfortable. Concentrating on the people or things that “survived” some process and inadvertently overlooking those that didn’t because of their lack of visibility. Risk theory is a huge part of conversion optimization. In the zero-risk bias, here’s what you need to know. Remove as much risk as you can from your conversion process and funnel. Since people tend to think in proportional rather than differential terms, you want to assert major proportionate gains rather than nuances of differential preference. An effect in which incompetent people fail to realize they are incompetent because they lack the skill to distinguish between competence and incompetence. Actual competence may weaken self-confidence, as competent individuals may falsely assume that others have an equivalent understanding. Your customers aren’t going to know some things, and they aren’t going to know that they know it. You, as the seller, need to be aware of your customers’ blind spots. Why? Because they themselves aren’t aware of their blind spots, and therefore don’t know how to overcome them. The greater awareness you have of your customers, the better position you’re in to sell effectively. Occurs when people claim more responsibility for themselves for the results of a joint action than an outside observer would credit them. Affirm your customer’s choices wherever and whenever you can. Phrases like, “You made a good choice,” and “Highly perceptive people like you” may sound facile and flattering, but they can be effective. The tendency for a person’s positive or negative traits to “spill over” from one personality area to another in others’ perceptions of them (see also physical attractiveness stereotype). You don’t need to be ingratiating, but if you’re going to sell something to people, you want to identify with them. People buy from people they like. To make your product more appealing to your target audience, feature testimonials from the target audience rather than merely celebrities or superstars. Here’s a great idea for content marketing. Why do marketing professionals, including conversion optimizers, like to talk about the same things over and over again? Because there is social enjoyment found in shared information. We prefer to talk about familiar things. That’s why all the blog start to sound the same after a while. If you want to shake things up with some truly interesting content, try publishing something that’s not talked about very often. Bizarre material is better remembered than common material. Make your product or service memorable by making it bizarre. You should, of course, use this technique with caution in order to avoid alienating or grossing people out. But you should try it. And it is effective. Tendency to remember high values and high likelihoods/probabilities/frequencies lower than they actually were and low ones higher than they actually were. Based on the evidence, memories are not extreme enough. Like the bizarreness effect, the regressive bias is a symptom of our not-so-awesome memories. The more extreme an example, statistic, or finding, the more likely it is to stick. Choose your data carefully when attempting to persuade customers. Your customers will remember whether their experience with you was good or bad. And what affects the goodness or badness? It’s all about how the event If it ends on a pleasant note, they’ll will possess positive memories. If it ends on an unpleasant note, they will retain negative memories. Make sure that your conversion optimization process optimizes everything — all the way to the bitter end. And maybe try not to make it a bitter end. Concepts that are learned by viewing pictures are more easily and frequently recalled than are concepts that are learned by viewing their written word form counterparts. This is why I have pictures in every single blog post. It’s a settled scientific fact that we learn better through visuals. (And I can’t understand why the article on the subject doesn’t have a dang picture.) Pay special attention to photos in conversion optimization. That older adults favor positive over negative information in their memories. Remember my remark about the virality of negative emotion. Take this advice with a grain of salt, especially when dealing with a senior audience. They respond far more favorably to positive information than negative information. Recency effect & Serial position effect That items near the end of a sequence are the easiest to recall, followed by the items at the beginning of a sequence; items in the middle are the least likely to be remembered. If you have three pricing options, then you are most likely to sell the middle option most often. If, however, you have more than three options, then your last and first options should be the hottest sellers. Price and plan accordingly. That information that takes longer to read and is thought about more (processed with more difficulty) is more easily remembered. This is why I write 5k word articles with lots of data. That memories relating to the self are better recalled than similar information relating to others. As often as possible, draw attention to the user. They will remember the information you tell them, as long as that information has relevance to them. Emphasize memorable aspects of your product or service. Use differentiated colors, large CTA buttons, impeccable product photos, and other powerful features that sets your product apart. Incomplete or interrupted tasks are remembered better than completed ones. Encourage users to “set aside time” to read a landing page, complete an online form, or read an article. The less interruptions they experience, the more likely they are to retain and act on information. Slate shows “to read” times, likely to encourage users to anticipate the time they will need to read the article and follow through on doing so without interruption. Owning up to you own cognitive biases is powerful enough. But understanding these cognitive biases in your customers is equally powerful. Next time you recognize one, head over here, look it up, and tell your story. Congrats, you read the whole thing. Just in case you don’t have a photograpic memory, you can download it as a 30-page ebook by clicking here! Research shows that these biases are highly resistant to self-detection and even more resistant to change, since they most often operate below the level of consciousness. It’s been shown that teaching bias awareness and conscious mitigation is ineffective. All is not lost, however. Current research is investigating ways in which to introduce mildly intrusive interventions into decision environments and processes, with the goal of mitigating the effect of biases (but not the biases themselves). Do you happen to know of any published scientific research summarizing cognitive biases? It’d be great if you could share references. Related post about errors in surveys and reports aimed at marketers, such as data dredging. I’ve cross-linked back here. Great Article! I will have to use some of these for marketing in the future! When you distill these 67 “biases” or techniques, you end up with Marketing 101. Good point, Alan. Advertisers and marketers have sought to exploit some of these for years, Alan. It’s good to have an idea of the science behind successful ads, headlines, etc., as it shows the path to improvements and application to other campaigns. cues to evaluate messages when they lack the evidence and/or motivation to scrutinize message content” The study was focused on aphorisms that I would argue have the perception of (if not were) old proverbs, which people may associate with time-tested truths – and which are often more vague then general marketing statements,. So I wonder how great of an impact the “when they lack evidence and/or motivation to scrutinize message content” had on the results. Does anyone know if there is a similar study on Rhyme as Reason trying to measure perceived truthfulness, but with dummy products/brands that make statements in regards to products (instead of vague aphorisms – which may actually have a forer or Barnum effect mentioned in this article:)? I believe the greater impact of Rhyme as Reason in everyday Marketing is in its ability of recall – rather than perceived truthfulness of a statement. Ryan, rhyme certainly improves recall. Slogans, jingles, etc. stick more easily with rhyme. The fluency effect is more subtle. Things that are fluent, i.e., put less cognitive load on the brain, are perceived as more likely to be true. That’s a bug, not a feature. 🙂 So, simple names, easy fonts, etc. all connote credibility when in reality there is no correlation. Strange, but there’s loads of research to back it up. Of course, part of the fluency effect might relate to ease of recall. I.e., my brain can finish the slogan more easily because of the rhyme cue. Jeremy thanks for this article. I was aware of some of these data points but not all. I will absolutely leverage this information. Really good. The power of leveraging psychographics can’t be underestimated. A number of years ago I was involved in a U Mich research study where we showed that by using highly personalized content tailored to motivational psychographics (and environmental inputs, goal and behavior and past health history data), that we could positively impact smoking. Connecting to a sense of personal agency, such as with “Hope Theory” and other classical models such as Meyers-Briggs, was a real eye opener. Now let’s all use these powerful tools for good purposes now, shall we? Fixed! Sorry about that, Andrea!